Yesterday, UNStudio was selected in the competition for a 110 meter tall hotel tower. From the six projects presented, the jury, chaired by Prof. Johann Eisele, chose the designs by UNStudio – Ben van Berkel (Amsterdam), and Kohn, Pedersen, Fox (New York) and recommended proceeding with the UNStudio design for further development. The new tower will house a 5-star-plus hotel with 405 rooms and suites, a ballroom, spa, various restaurants, a lobby bar and a public Sky Lounge on the top floor, and the possibility of an adjacent congress center. The hotel tower consists of 22 floors at a height of approximately 110 metres and an area of 54,562.70 m2 for hotel tower + plinth. The new hotel will be located opposite the currently emerging high-rise office Tower 185. 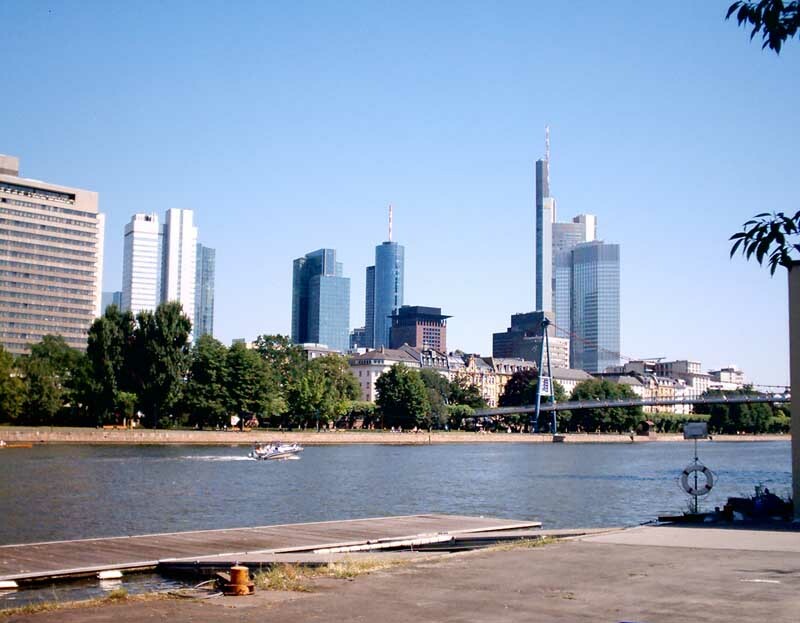 The first building to be realized in Frankfurt’s Europaviertel was the Mövenpick Hotel. Along with a number of apartments and office buildings a second hotel, the Meininger Hotel, is currently under construction. As part of a multiple assignment, yesterday six architects presented their ideas for the approximately 110-meter-high hotel tower. Other offices which presented their designs were Ingenhoven Architects (Dusseldorf), JSK Architects (Frankfurt), Lederer, Ragnarsdottir, Oei (Stuttgart) and Reichel Stauth + Architects (Brunswick). The jury consisted of: Stadtrat Edwin Black (City of Frankfurt), Bernhard H. Hansen (Vivico), Prof. Jochem Jourdan (Jourdan & Müller PAS), Prof. Uwe Frerichs (Bielefeld University), Anne Geier Mann (Hyatt) and Matthias Lowin (Viador). All of the designs will be exhibited from the 20th until the 27th May 2009 in the foyer of the Technical Town Hall of the City of Frankfurt (Braubachstrasse 15, Monday to Friday, 08:00 to 18:00 clock). The new Grand Hyatt, as part of the ensemble Skyline Plaza, marks the entrance of the Europe Allee, with its impact stretching along Oslo street in a North-South direction. With the new hotel tower, 1,000 beds of different categories will be available in the Europe District. The Europe District is growing rapidly: The first residential building will be completed in spring 2009, with two more to follow in 2010. Overall, in the first phase approximately 780 houses are planned. The construction of the first office building, headquarters of the Germany bank BNP Paribas, started in the autumn of 2008 and will be realized mid-2010. The four-star Mövenpick Hotel Frankfurt City was realized in 2006. In February 2008 Vivico closed a lease contract with the Berlin hotel group Meininger. The new hotel at the entrance of the Torhause is also already under construction and will be opened in 2010. At the entrance of the European quarter, at the Friedrich-Ebert-Anlage, Vivico has been building the Tower 185 since September 2008; the first skyscraper at this location. Before construction began Vivico closed a contract for approximately 60,000 m² of rental space with the accountancy firm PricewaterhouseCoopers (PwC).